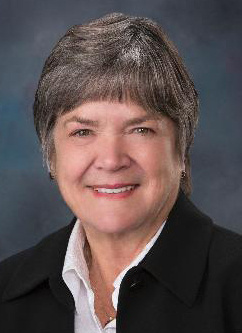 Longtime Idaho state Rep. Shirley Ringo, a Democrat from Moscow, announced Monday that she’ll try to unseat second-term GOP Rep. Raul Labrador in 2014. Labrador, a high-profile tea party favorite, said last week he’ll run for a third term in Congress representing Idaho’s 1st District rather than run for governor. Labrador said speculation to that effect had gotten out of hand. Ringo is a former Latah County Democratic Party chair and one of the most unabashedly liberal members of Idaho’s Legislature. She was an outspoken opponent of state school Superintendent Tom Luna’s Students Come First school reform laws, which voters rejected last year. She said her legislative accomplishments have included influencing state budgets, helping struggling constituents who had problems with state agencies and passing legislation allowing victims of domestic violence to register to vote without making public their addresses. First elected to the state House in 1998, Ringo said she’d already decided to not seek an eighth term in office in 2014 when she was approached by state Democratic Party Chairman Larry Kenck about the 1st District race. Idaho’s primary election is in May. “I have a degree of optimism that is hard to quell,” said Ringo, 72. Neither Labrador nor his campaign could be reached for comment Monday afternoon.